Absolute beginners and expert jugglers, everyone is welcome! Meetings are always free, but if you’re going to attend regularly, we hope you’ll become a member. For the winter of 2019 we meet every Wednesday 7-9 pm and every Saturday 1–3 pm, starting on Saturday, January 5th. 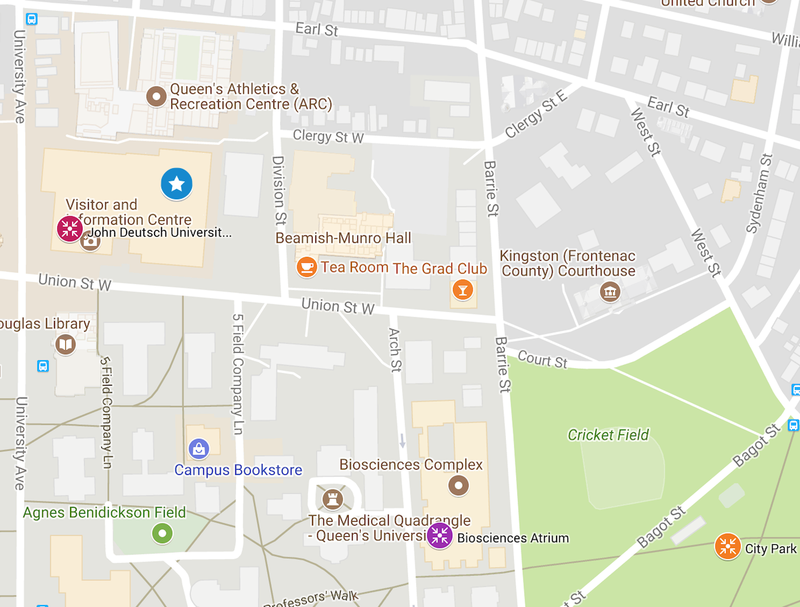 We don’t yet have room bookings, so while we’re waiting for that to shake out, meetings will be in the Lower Ceilidh of the John Deutsch University Centre, at the corner of University and Union (the red marker on the map below), also known as the JDUC (jay-duck). To stay up to date, subscribe to our email list, look at the list archive, or check the news page or our Twitter feed.